This and That – I Dig Graves! General information about me and the site. I’m a tombstone tourist, not a historian or a genealogist. There’s nothing I love more then wandering among tombstones. Graveyards settle me, balance my yin and yang. Have you felt it? All I have to do is walk through the gates, take a deep breath and all the hustle and bustle of my day seeps into the ground at my feet. Cemeteries want us there. The dead crave visitors! That’s why the living spend so much money on beautiful tombstones. It’s why they write such lovely and interesting epitaphs. To woo us. Give in. Get your feet-on-the-ground! 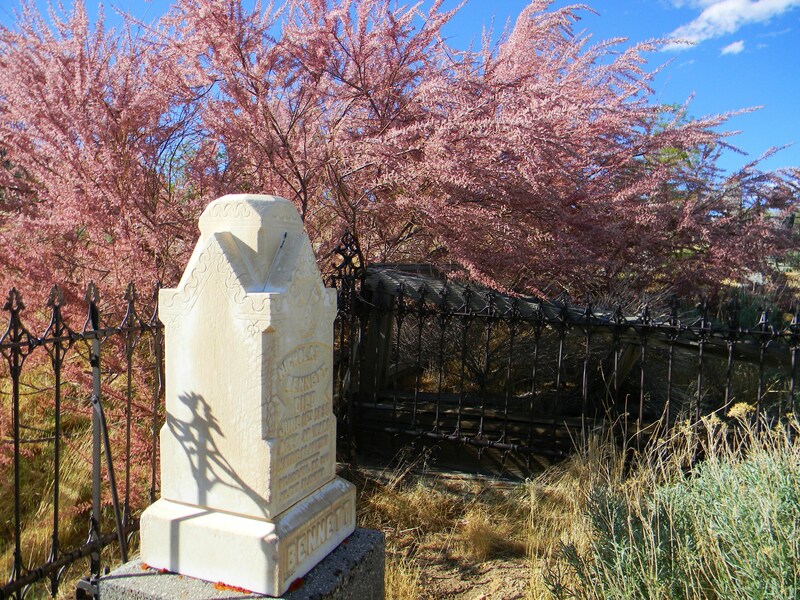 Don’t just drive by the awesome, little graveyards you see along the road. I found one in a grocery store parking lot once. They’re everywhere. Stop the car. Get out. Take your camera. If the gate’s unlocked, go on in! The pictures I’ll post on this site are all taken by me. I’ll tell you where I found each cemetery in the hopes that you’ll get in the car or hop on your bike and visit too. Shy about hanging out in graveyards? Here are some common sense guidelines to help you break the ice and indulge your inner taphophile. 1 . Ninety-nine percent of cemeteries are closed after dark. However, many have special tours organized at night, especially around Halloween. Watch for those, they’re a blast. 2. Drive and bike through cemeteries slowly, under 15 mph. You’ve got to watch out for the living. Their eyes may be open, but they could be focused on another plane entirely. 3. Yes, it’s okay to walk on the surface above a grave. Unless you’re a professional dancer, hopscotching across acres of graveyard just isn’t practical. 4. Most people come to cemeteries for quiet contemplation. It’s okay to laugh, cry, have a conversation, among the graves. Just be courteous to other visitors, (alive or dead). 5. Picnics, yes or no? In cultures all over the world there are holidays where it’s traditional to picnic on the family plot. Generally, quiet picnics are fine any time of year. If you share a meal with the dead, clean up, take your trash home with you. 6. 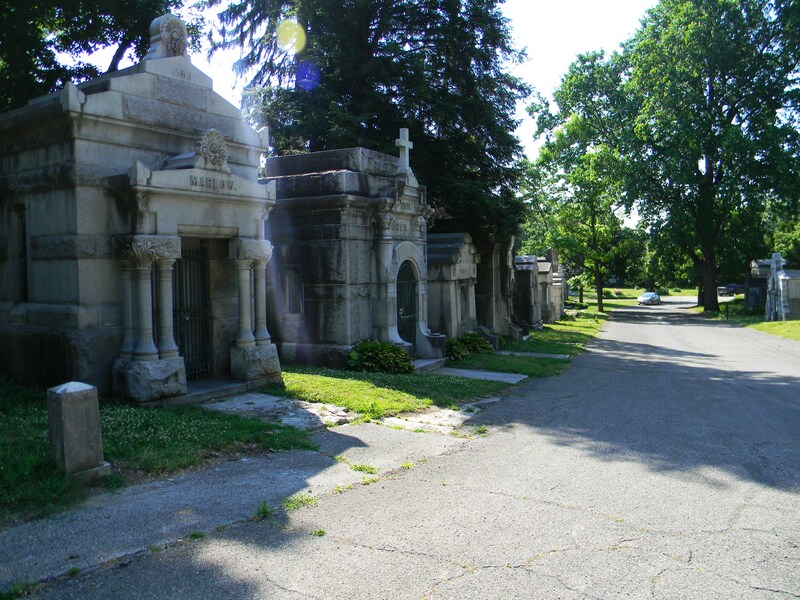 Listening to music while strolling through a cemetery can be a sublime experience. Just keep your tunes to yourself. Use ear buds or your imagination. 7. It’s okay to touch tombstones, but gently and only with clean hands. Using them for furniture or leap-frog is not okay. 8. 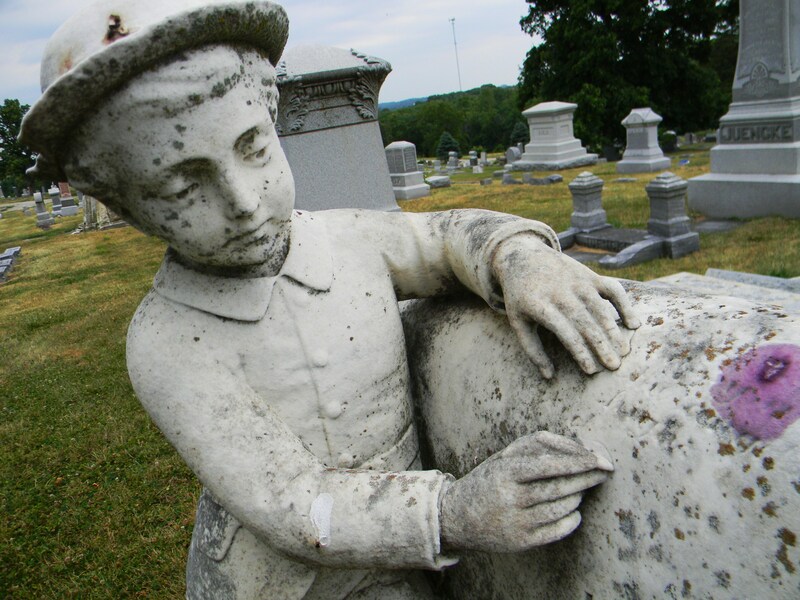 Taking rubbings or using shaving cream on hard-to-read tombstones erodes delicate surfaces. Shine a halogen flashlight across the face instead. The shadows, even in the day time will make writing easier to read. I have one with me at all times. 9. People leave all kinds of tokens on graves. I leave a rock on my mother’s grave every time I visit. Mom liked rocks. It’s okay to look but not to touch. Read a note if it’s left open and exposed, but don’t snoop into a closed envelope. 10. Many lucky dead are planted with peonies, jonquils, and irises. Unless it’s a member of your family, don’t pick the flowers. 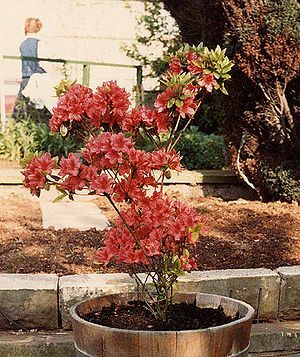 Unless you’re there as an official volunteer, don’t give in to your inner gardener and pull weeds. You may be denying a loved one a cherished chore. 11. Cemeteries are a weird realm of publicly displayed grief and the promise of privacy. Take all the pictures you want as long as the only living souls in them are the ones you brought along. Never take pictures of strangers. Leave the area if there’s a funeral going on. 12. Volunteer! If you really want to get your fingers dirty, find out if your favorite cemetery has a restoration or care-giving group. Often volunteers are the only way the oldest cemeteries are maintained at all. It’s common sense and common courtesy really. Be respectful of the living and the dead. I’ve got a couple of favorite lunch spots. One’s in town and one’s out of town, but I can grab a sandwich and get to both of them in time to have a leisurely meal and get back to work within an hour. Yes, they’re both cemeteries. Does that make me weird? I picnic, sitting in my car, about once a week rain or shine. I usually have an audio book to listen to, but sometimes I just mellow out to the patter of rain or birds singing, bees buzzing. It’s perfectly legal to picnic in most cemeteries, basket, blanket and all. 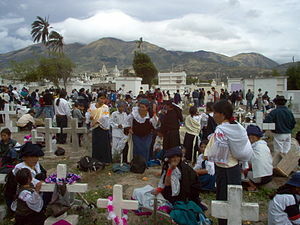 Mexican Day of the Dead traditions include partying with your departed loved ones and sharing a full meal right there around the headstone. Respect is the only rule, for the living and the dead. And, of course, clean up before you leave. I’ve got to say, that kind of lunch hour gives you a little perspective. It really makes you feel like you’ve gotten away from work! Just for fun, let’s take a poll.